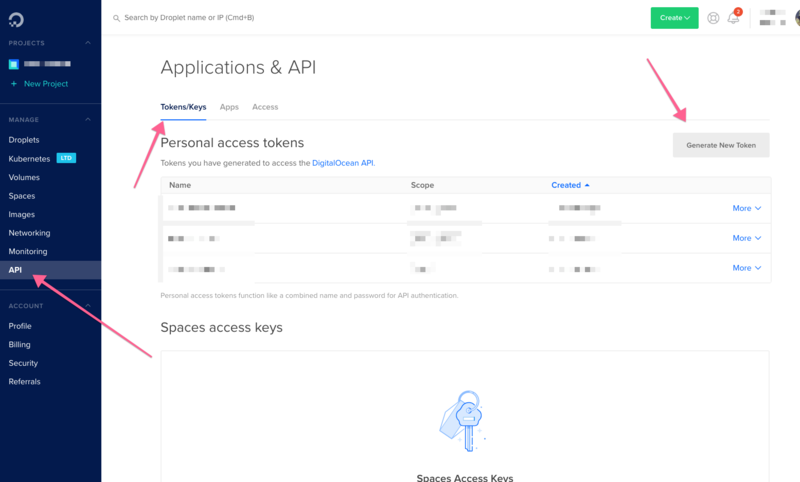 You will need to create an API token inside your DigitalOcean account, this is fairly easy. Start by logging in into digitalocean.com and go to "API" in the left sidebar. Make sure you press "Tokens/Keys" and then "Generate New Token".